This is a contemplative, poignant, and humorous book that seems very appropriate for this time of year. 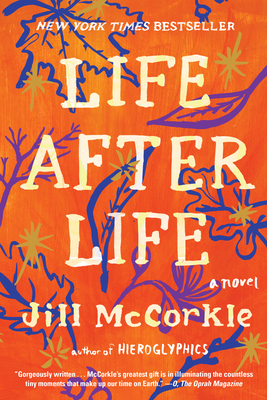 The author, Jill McCorkle, was a speaker at McLean & Eakin during Booktopia in the Summer of 2013, and the writing is all her - smart, funny and insightful. Joanna Lamb, after a few marriages, missteps, and aha-experiences, is now a Hospice volunteer at a retirement facility in North Carolina. In addition to her official duties and records, she writes in a personal notebook the most important things in her patients' lives before they die, just as she promised the friend who turned Joanna's life around. And what a cast of characters these patients are.... More sane than Fanny Flagg's, but as Ms. McCorkle explains in an interview at the end of the book, she only felt one character was completely unredeemable and another that could go either way. Though some of her patients' lives intertwine, they each have their own story. What creates the actual plot of the book is Joanna's relationship with two of her youngest characters - one with a secret and the other with a troubled home-life. The resolutions at the end are both heart-wrenching for different reasons.